This picture was taken in 2006. 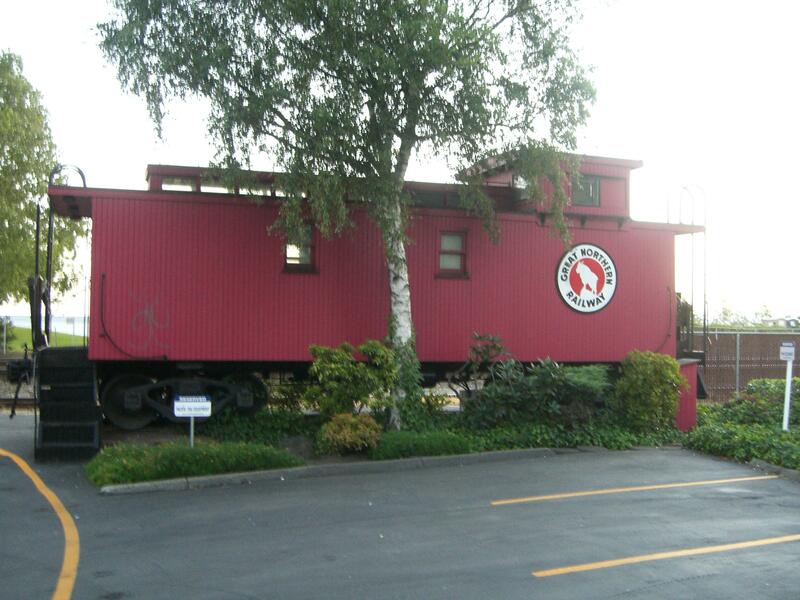 We were on our way back to the Edgewater Hotel in Seattle. 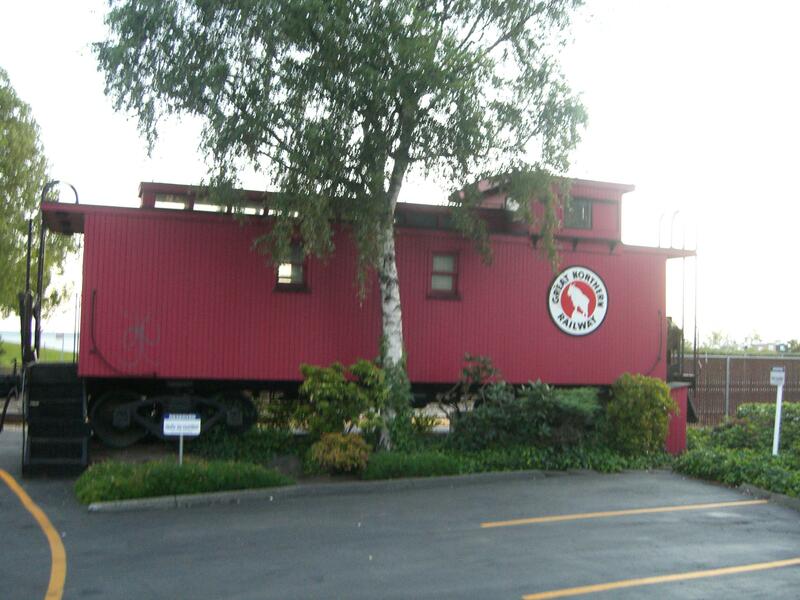 The Great Northern Railway Caboose was located in a parking lot next to the building that the Seattle Post-Intelligencer occupied for many years. 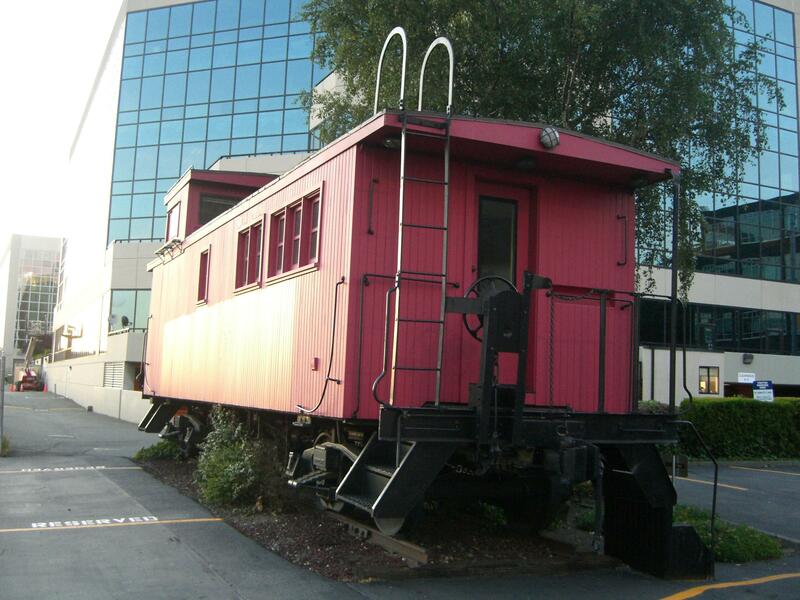 Of course the Seattle Post-Intelligencer has since moved to a new building. The newspaper is now an online only publisher. I can’t remember if I took any pictures of this location in 2008. We sometimes don’t get back to places we’ve gone to before. Normally I try taking pictures of locations I have been previously to document any changes that have taken place. 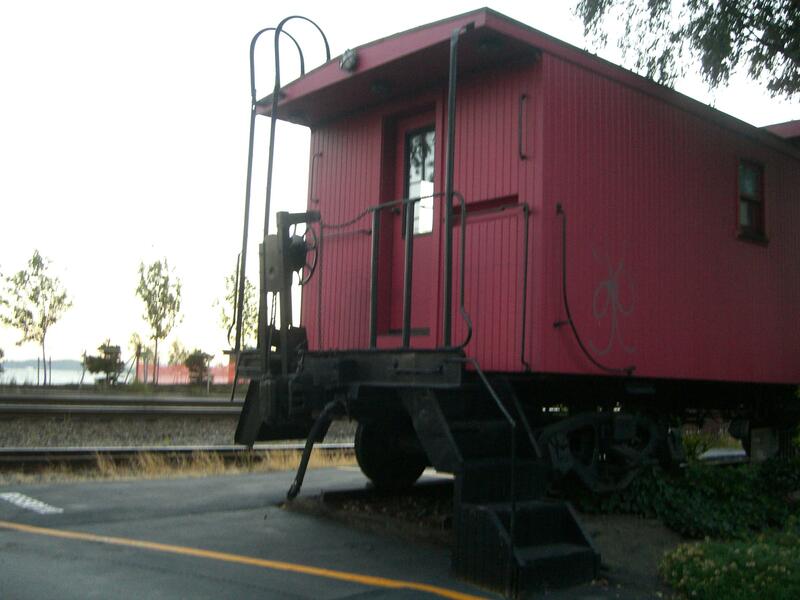 You can see the parking lot and the Great Northern Railway Caboose in the PDF file below. The file is an advertisement for office space inside The Diamond Building in Seattle. If you look to the back right. You will also see the Pier where the Real World reality series was filmed in Seattle.